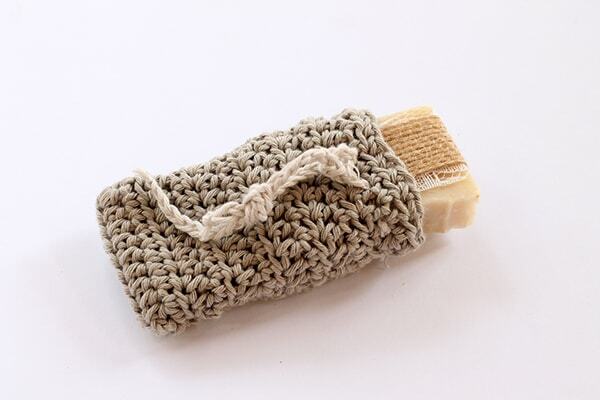 Make a cotton crochet soap holder with this really easy pattern. 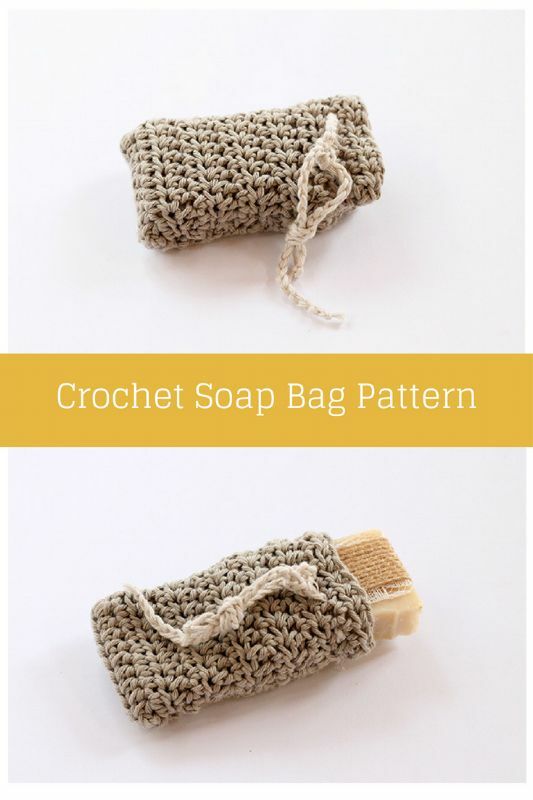 This is part of a bathroom set of crochet patterns that are available for you to make, which includes a crochet shower puff, crochet basket, face scrubbies and washcloths. 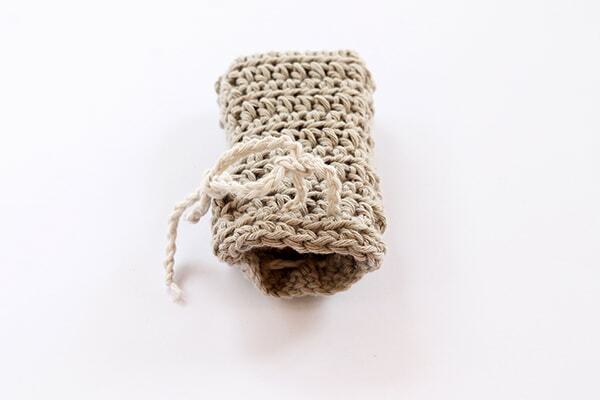 Making all of the items in the crochet bathroom set collection will be perfect for gifting at Christmas or to make and sell at the upcoming Christmas craft fairs. The bathroom set could also be used as a special spa treat gift for anyone who needs a bit of pampering, paired with some organic homemade soaps and shower gels. 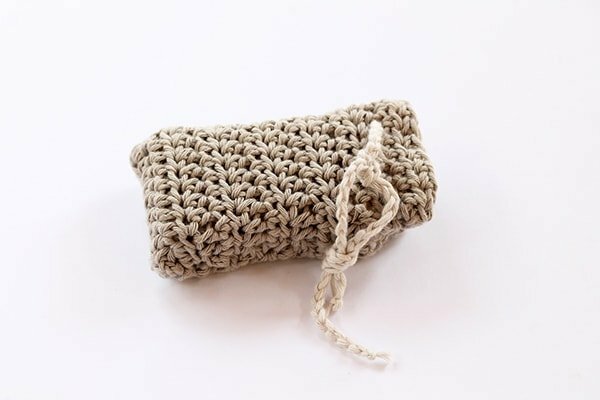 This crochet soap holder is an excellent beginner crochet project, that will introduce you to creating a chain, single crochet. 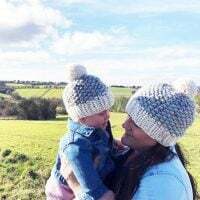 If you need help with any of the instructions in the pattern, please visit my ‘learn how to crochet‘ page, which has video tutorials to help you. You also have the option to download the entire crochet bathroom pattern collection, which includes all of the free patterns in easy to view and print out PDF’s. 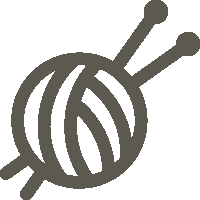 With Yarn B – ch 72, cut yarn and secure. 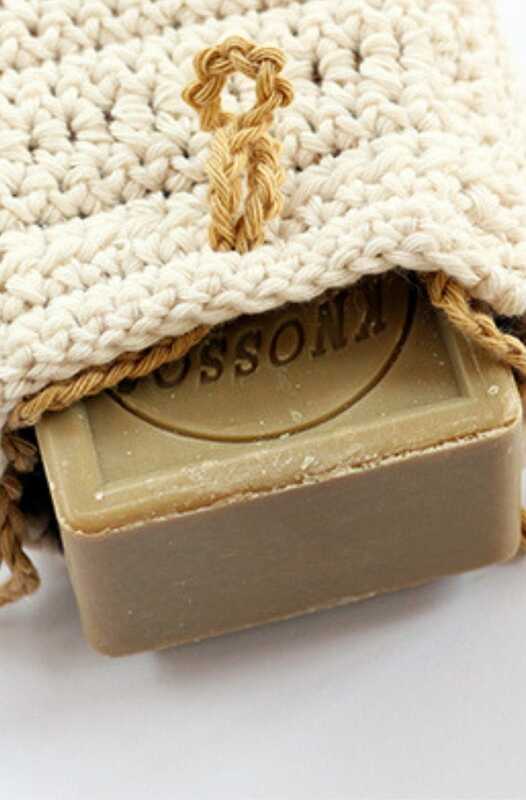 Feed the chain tie through the stitches around the top edge of the soap bag and once the soap is inside, pull closed and tie.